MEETMIKE – The Improvement of Real-Time Rendering Is Scary! As real as it gets, and in VR! MEETMIKE is the name given to a VR experience demonstrated at SIGGRAPH 2017 conference – the same one where we had the chance to see the fascinating Neurable. 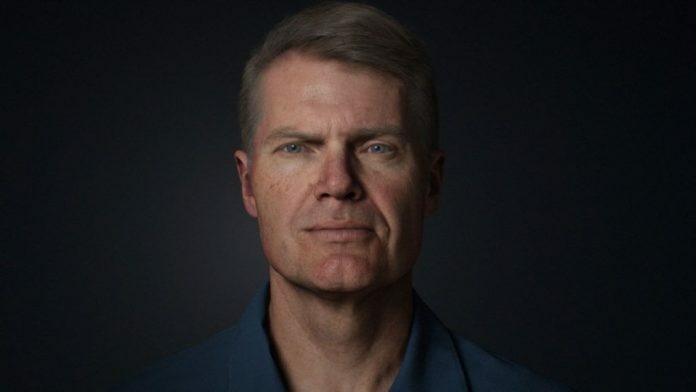 The joint effort of Mike Seymour (the “puppeteer”, thus the name MEETMIKE), Cubic Motion (face image tracking & solving), 3Lateral (facial rig), Wikihuman (Mike Seymour scan) and a slew of other companies has resulted in a significant overall improvement of real-time rendering technology. End result? MEETMIKE, looking as real as it gets, rendered in real-time at 90 frames per second in VR using Unreal Engine. MEETMIKE contains about 440,000 triangles being rendered in real time, which means rendering of VR stereo about every 9 milliseconds. Hair consumes a whopping 75% of all triangles. There are 80 joints in Mike’s face rig. Again, majority of those are used for hair and facial hair movement. Face mesh requires only about 10 joints for jaw, eyes and the tongue. The system relies on complex traditional software design and as much as three deep learning AI engines. Now, what if I showed you a real-time rendering presentation that won the award for the best real-time graphics & interactivity last year at SIGGRAPH 2016? What you just watched, all of that live performance capture and real-time rendering, is the backbone for Hellblade: Senua’s Sacrifice. Hellblade: Senua’s Sacrifice is a single-player adventure set in the Viking age, developed by an indie studio Ninja Theory. It follows a young female Celtic warrior Senua, trapped in the personal hell of psychosis and schizophrenia. Throughout the game, Senua is traversing the pits of hell in search of her deceased lover’s soul, but in reality, she’s battling her mental illness. It has just been launched on Steam (August 8), and it has received overwhelmingly positive reviews so far. Now, the game itself is far from VR ready. But, all the facial shots of Senua, as well as her whole body, share much of the same technology required to run MEETMIKE. Without going too deep into the matter, it’s obvious that live, real-time rendering technology is within our grasp. It’s slowly finding its way into the mainstream gaming and video animation. Unfortunately, most of the current hardware and tech is at its limits when it comes to live, real-time rendering and performance capturing. Add VR into the mix and you are really pushing it. 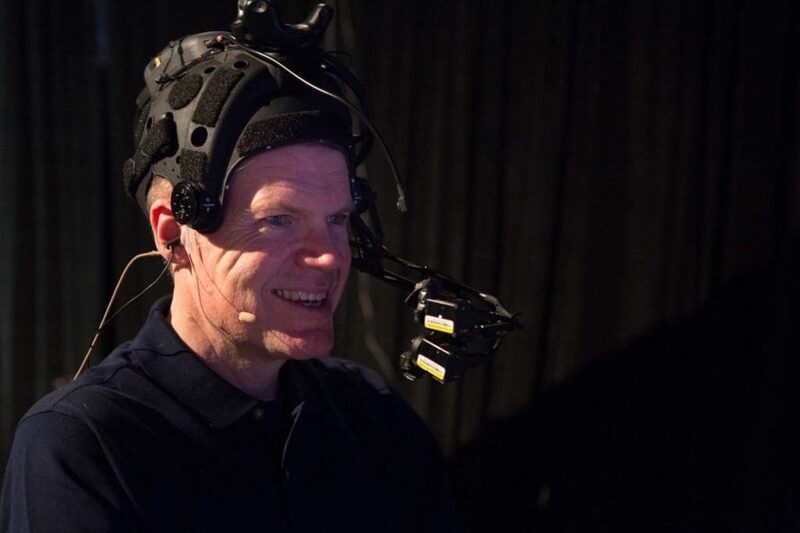 For those reasons, we’re still a few years away from performance capture rendering becoming an industry staple. However, progress is inevitable, and with new generations of graphics cards, real-time rendering will surely become a viable option for developers and studios. Imagine – a VR game where you meet somebody you know in real life. The person’s real-time rendered in-game avatar looks exactly the same as the person does in real life. Should Free VR Game Demos Become a Thing? Every VR game should cause this! August 14 update: It looks like Oculus Store has just rolled out free trials similar to Xbox One! You can download and try the game for free, and if you like it, you pay to unlock the rest of it. Defense Grid 2 is the first game to become available this way. Let’s hope more developers and publishers follow suit! VR Game Demos – Why and Why Not? Now, let’s be seriously blunt and bluntly serious– VR is awesome, but it is still an emerging and rapidly developing technology. Therefore, buying VR games is a gamble for everybody with middle-of-the-pack PC + VR setups. You could retort with a counter argument that most VR games at the moment basically ARE demos. And I would agree. However, things get increasingly complicated when you involve monetary transactions in the whole process of acquiring said games… demos… products… Whatever they are. Certainly, there are VR games out there that are obviously dumps. They are created and published with the sole purpose and intention of making a quick buck off of early adopters. In a Wild West situation like that, wouldn’t it be prudent for developers to rise above the junk and trash by offering demos for their legitimate products? I’d make a statement that it would. All of these are valid points to be made, especially in this day and age with closed and open betas, review copies, various game review websites and YouTube channels and so on. If you want to see the game in action, a quick search on Google and YouTube will give you all the data and info you need to make a rational buying decision. However, with VR, it’s different. 3D adds a level of complexity and experience that significantly surpasses the capacity of any established online multimedia channel. You can’t accurately describe and review any VR game with words, images and/or video. The person on the other side has to feel it in order to get the full picture. This is where game demos would fill the void. If you happen to buy VR games primarily from Steam Marketplace, there is always a refund option – for any reason. Therefore, even if you’re not sure the VR game you’ve set your sights on will work well on your setup, you can freely buy it, try it and then decide what to do after. However, you can’t just go willy-nilly with this method. There are limits. You can’t refund your newly purchased VR game if you’ve had it in your library for more than 14 days. That’s 2 weeks – more than enough time to come to a conclusion. Also, make sure you didn’t play it for more than 2 hours. 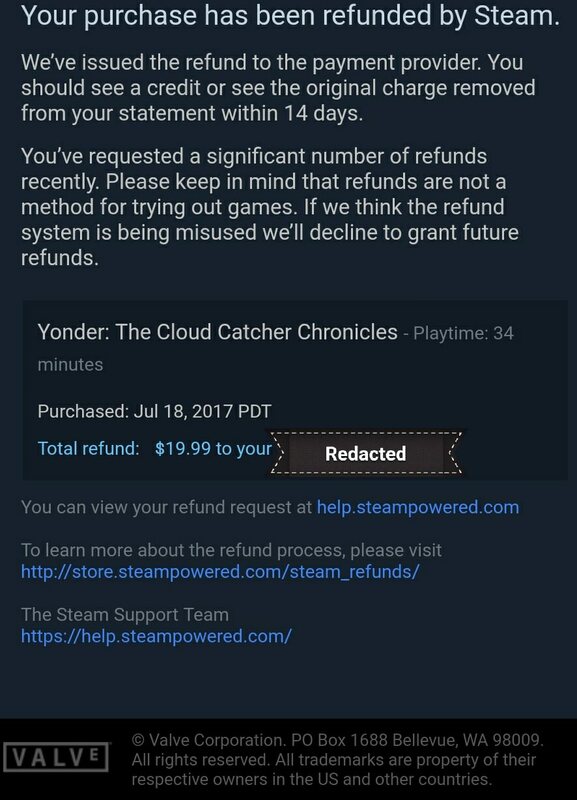 If you did, Steam will deny your refund request. Additionally, there’s this. Steam obviously has means to detect your activity, so if you suddenly start buying and refunding a bunch of VR games, you will probably get this warning after a while. At the moment, there’s no information on what Steam considers “significant number of refunds”. 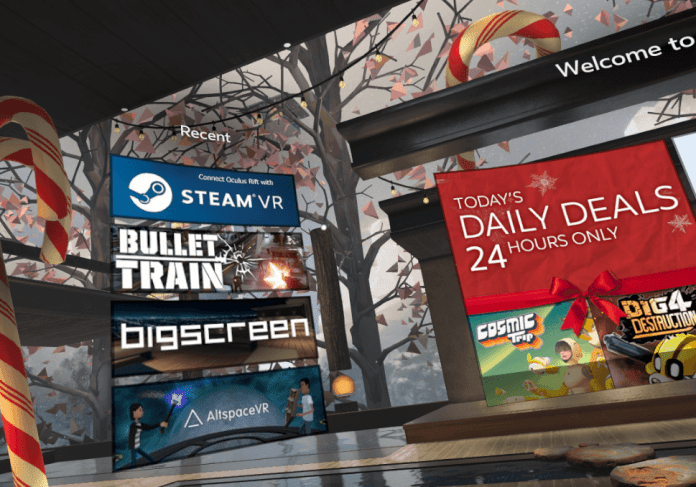 Oculus offers a similar refund policy for Oculus Store purchases – no more than 14 days old and 2 hours of playtime. The catch is that it’s only applicable to users in the United Kingdom. Hopefully, Oculus will expand this option to the rest of the world soon. With the VR games rapidly oozing into the mainstream, the barrier of entry is still relatively high. In other words, it’s a significant investment for an end user. Even if money is not the problem, you may easily find yourself fumbling through myriads of forums, videos and blog posts for hours, trying to find a solution for some technical roadblock. This is exacerbated by the fact that a lot of VR games at this stage of VR expansion are… experimental, to say the least. Despite their supposed minimum and recommended requirements, they often don’t perform well on your particular setup. Optimization takes time, and most of the developers are rushing through the development cycle just to launch their VR games as soon as possible. In such an environment, offering free demos would certainly help the users figure out whether playing their VR game of choice is even feasible. Sadly, money and profit margins often take precedence over end user experience. This is the biggest reason why we probably won’t see more free VR game demos any time soon. Unless, of course, the biggest VR game stores like Steam Marketplace and Oculus Store make it a requirement. It would certainly be in their best interest to do so – they would win over the customer trust and provide more satisfaction in the long term. A shortcut to home from your home is quite homely..
Rifters across the globe, we’re getting there! Slowly, but steadily! 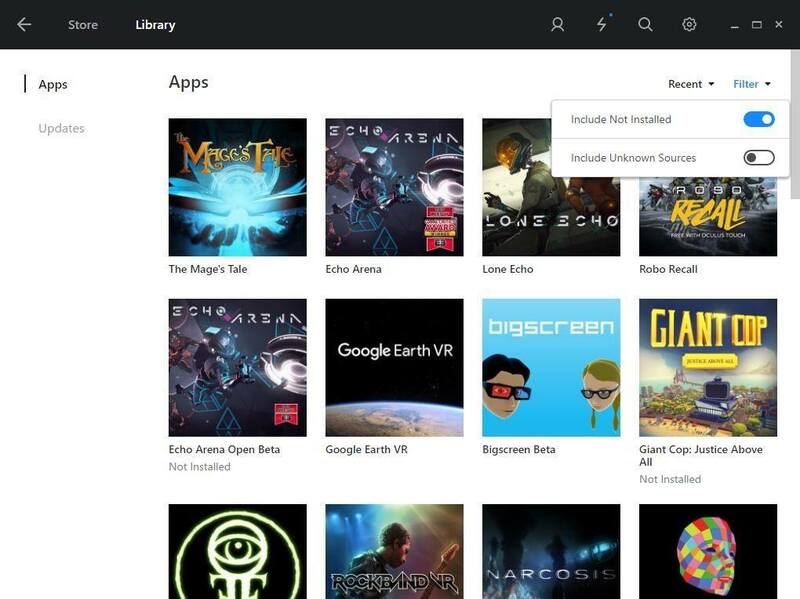 Oculus Rift developers have recently announced that Third Party Apps, namely SteamVR games, would be accessible in Oculus Home with the 1.17 software update. The update was rolled out on August 3. At first glance, this is a massive improvement over Valve’s own SteamVR Home. SteamVR Home also technically enables you to have an all-in-one solution for your games, but you have to manually search for the right executable (.exe) files to be added to SteamVR library. However, users still report various problems with the Oculus Home’s newest feature. Most prominent issue is that SteamVR games still don’t show up in Oculus Home. So, how DO you add SteamVR games to Oculus Home exactly? Click Library in the menu at the top. Click the Filter drop-down menu in the upper right corner. By default, Include Unknown Sources is Off. Click on the switch so that it turns blue (On). Now hold on, you’re one quarter of the way through, more or less. In order for your favourite SteamVR games to appear on Oculus Home screen, you’ll need to first launch each and every one separately. Close SteamVR. Shut it down completely. Select your game and launch it. SteamVR will auto-start and your game will be auto-added to Oculus Home. Nevertheless, you might still experience certain roadblocks along the way. It mostly depends on the game title. Project CARS has been reported unable to launch from Oculus Home by dozens of users. Dirty Rally is also supposedly on that list. A bunch of smaller games run into all kinds of problems. I’m sure Oculus is aware of these issues and working actively on patching and fixing them. At the moment, playing any game that’s not available on Oculus Store, including Steam VR games as well, will make you appear as ‘Online’ to your Rift friends. Unfortunately, there’s no way around it, but hopefully it gets addressed soon enough. Now, some of you out there prefer SteamVR Home to Oculus Home. For whatever reason. That’s perfectly fine – if you have no problem manually adding each and every non-Steam game into your Library, then who am I to stop you or judge you? So, you could simply resort to quick-launching SteamVR from your taskbar, sure. But, what you really need is a shortcut to SteamVR on your Oculus Home. This will let you seamlessly switch back and forth between SteamVR Home and Oculus Home. At the moment, the most straightforward way to do it is with the nifty little program called Oculus Tray Tool. If you haven’t yet installed it, do it now. Trust me, you won’t regret it. It has a boatload of features, but for this purpose, one is of particular interest to you. Oculus Tray Tool lets you swap one of your current apps with the SteamVR app. Just choose any small and free app from the Oculus Store, something that you know you won’t use. Have a trick up your sleeve? Maybe you know a better way how to add SteamVR games to Oculus Home?